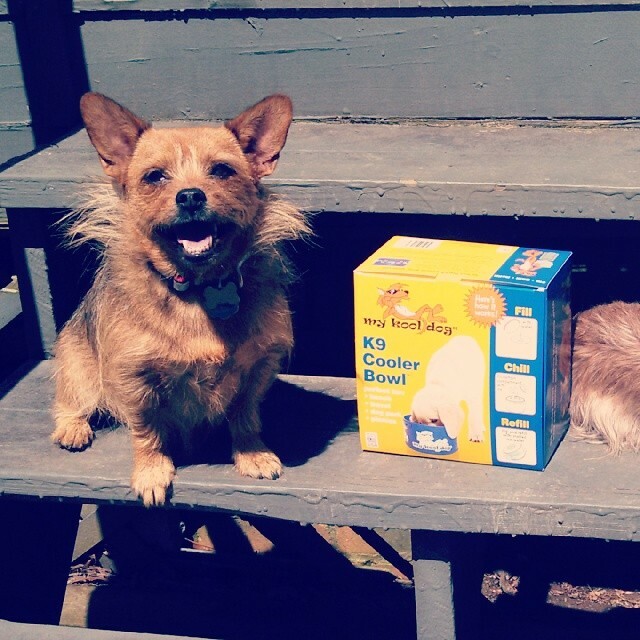 We received the K9 Cooler Bowl in the mail from a giveaway yesterday and we thought we would share some info/do a mini review of it! 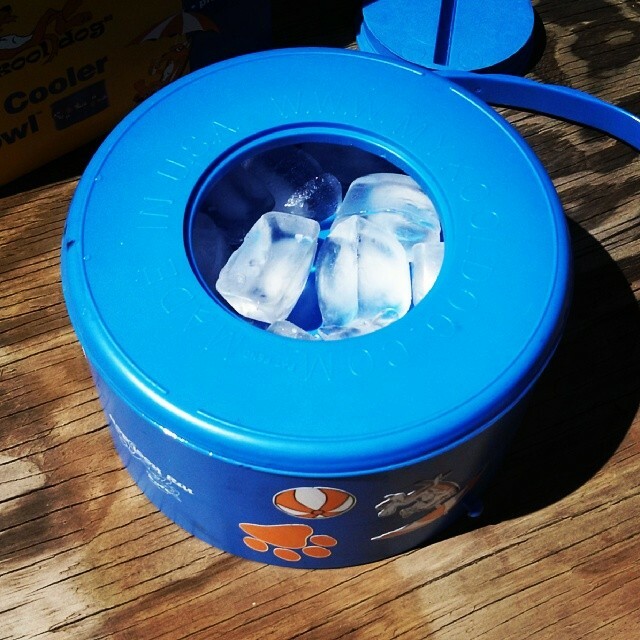 The K9 Cooler Bowl is great for those hot days out with your dog! 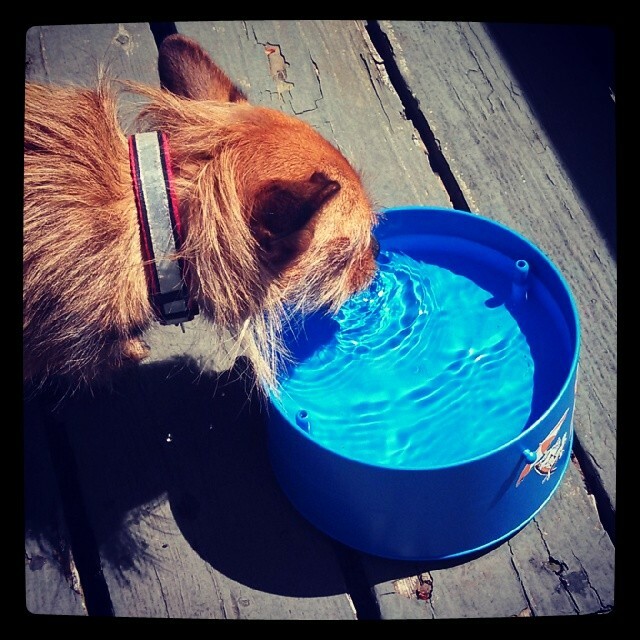 The directions state that you fill up the top with water, place ice cubes in the bottom compartment, and then after your dog has drunk all the water, turn it upside down and it refills with the melted ice water! It kinda fools the eye about how deep it is because the container is sectioned into two halves - one for the ice, the other for water, so if you have a big water drinker you will be refilling it a lot. 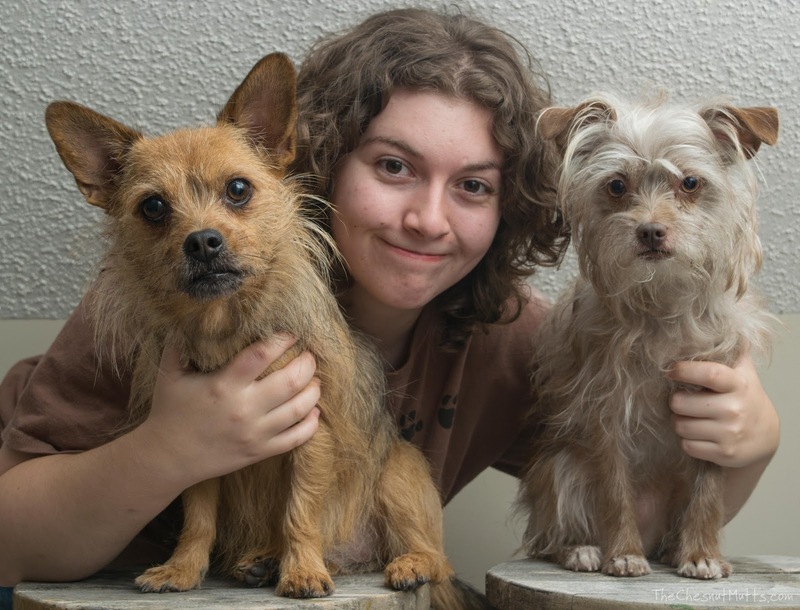 I can see this being used at a party where dogs are running loose and having a good time. I'm going to use this when I get back to walking with the girls. 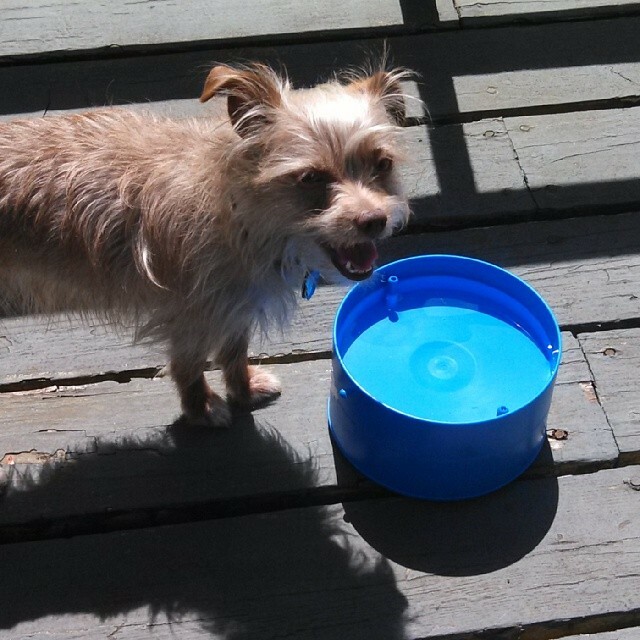 Jada pretty much stayed at the water bowl the whole time! 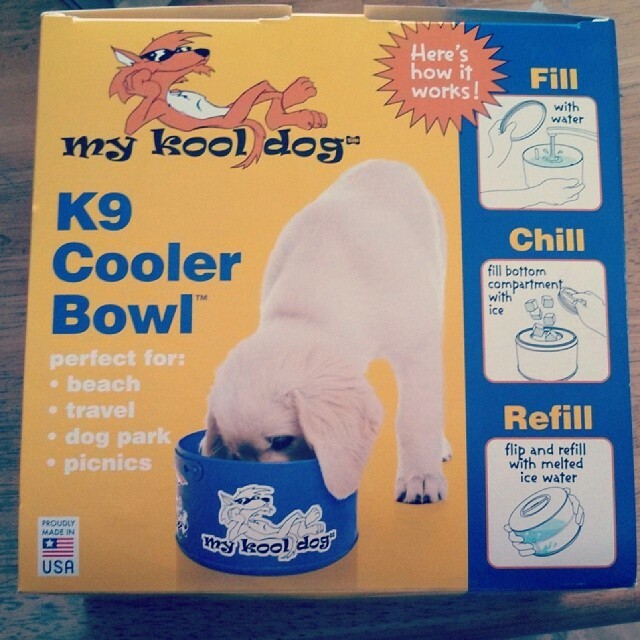 Sadly, the K9 Cooler Bowl is no longer available. You can find similar products on Amazon.